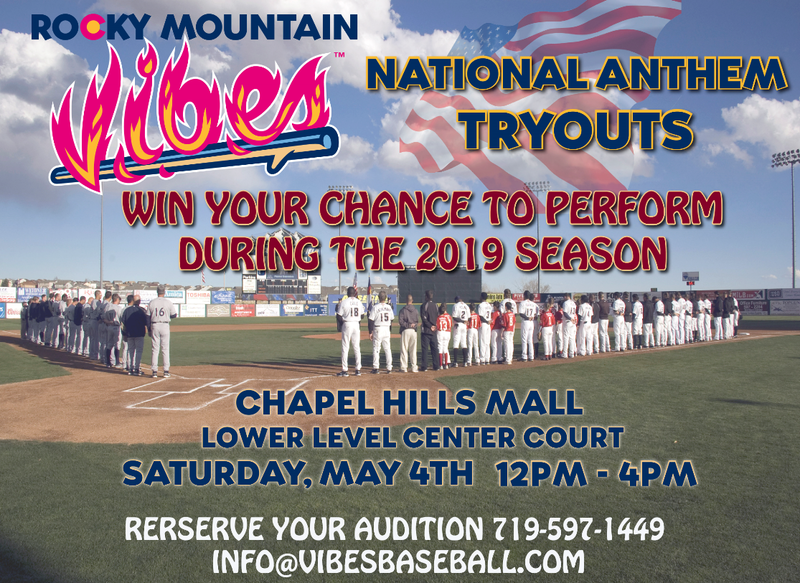 COLORADO SPRINGS, Colo. – The Rocky Mountain Vibes will be hosting their National Anthem Auditions for the 2019 season on Saturday, May 4 from 12:00 p.m. to 4:00 p.m. at the main stage in the Chapel Hills Mall’s Lower Level Center Court. Soloists, duets, trios, and quartets are invited to audition “The Star Spangled Banner” or “God Bless America” for a chance to sing during the 2019 season at the Vibes ballpark. 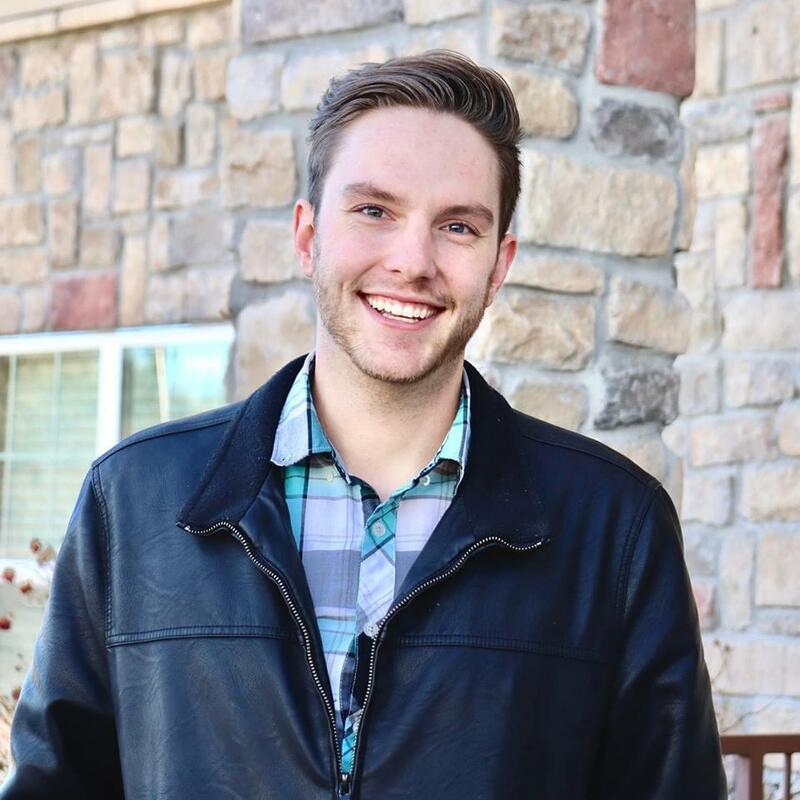 Three winning contestants will be determined by a panel of guest judges. The top performer of the day will be selected to sing “The Star Spangled Banner” Opening Weekend on Saturday, June 22. The remaining winners will be invited to perform at a home game during the 2019 season which runs through September 7. All vocal performances must be a cappella or accompanied by a personal instrument and only traditional renditions of songs will be considered for selection. Each performer may audition for either “The Star Spangled Banner” or “God Bless America” and will be considered for either song. 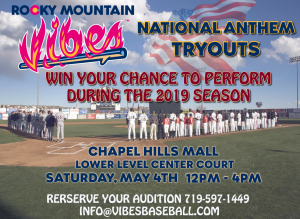 To reserve an audition time between 12:00 p.m. and 4:00 p.m. on May 4, please contact Crystal Mazey in the Vibes Community Relations department at (719) 597-1449 or through e-mail at info@vibesbaseball.com. Walk up auditions on Saturday, May 4 are welcome and will be taken on a first-come, first-serve basis, as time permits.